Mondo Polymer Technologies is prepared to help your company "Go Green". How do you know when it's time? Are your dumpsters constantly overflowing with plastic waste products? Are you paying money to dispose of plastic waste? Because Mondo Polymer Technologies is a manufacturing company that produces transportation industry products from 100% recycled polyethylene plastic, we have developed unique partnership programs with source companies that want to recycle rather than add to landfill volume. 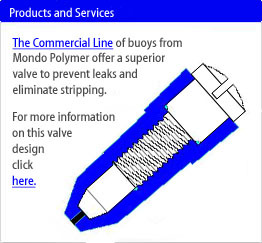 Under the Mondo Polymer program, we can provide all or any combination of consultative and process services. We start with an audit of your requirements. We will train your employees on plastic material identification and sorting. Click here for a pdf description of Plastic Packaging Resins published by the American Chemical Society. 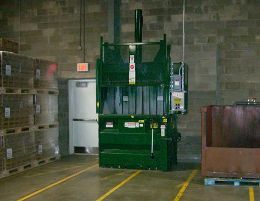 We will provide free, on-site balers for volume compression. We will provide free on-site semi-trailers for storage. We will exchange filled trailers with empty trailers in exchange for the full load. We pay all freight charges. We pay you for each collected bale. For information contact Ron Wesel at 740-376-9396, toll-free 888-607-4790.